WALK OUT END UNIT at the TRADEWINDS! 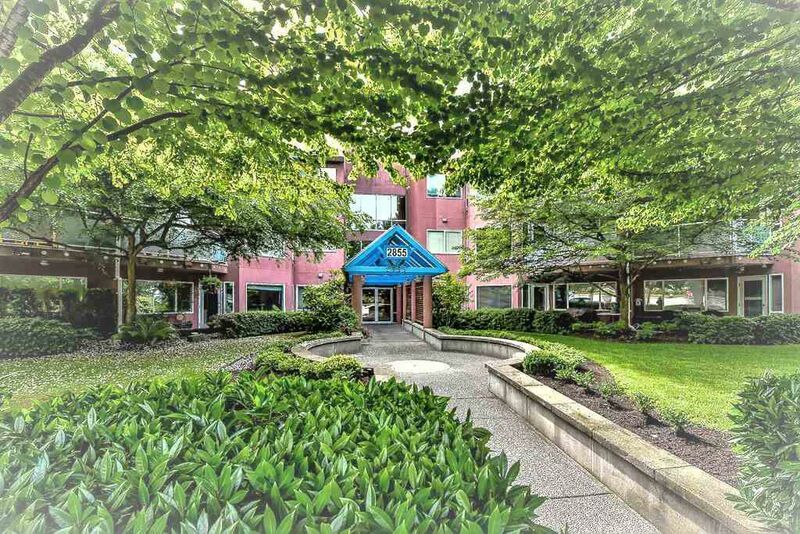 This bright & sunny South West corner unit lets you enjoy access to the huge grassy area from your garden patio with easy access for pets and guests. Kept absolutely IMMACULATE with 2 Bedrooms/2 Full Baths/Gas Fireplace/Wrap around windows and has updated laminate flooring. Fabulous floor plan with spacious rooms - feels like a rancher home! Convenient location with transit right outside; walk to restaurants & shops; 5 min to White Rock Beach; and easy access to the freeway! Rentals allowed/max 12" shoulder for one dog or 2 cats allowed/No age restrictions! Yes, it's in the Semiahmoo High School IB catchment! Shows a 10! We make ourselves available at all times. Our web site is here to help you 24 hours a day. You can search listings at your own convenience, browse reports, and read up on real estate info on your own terms.